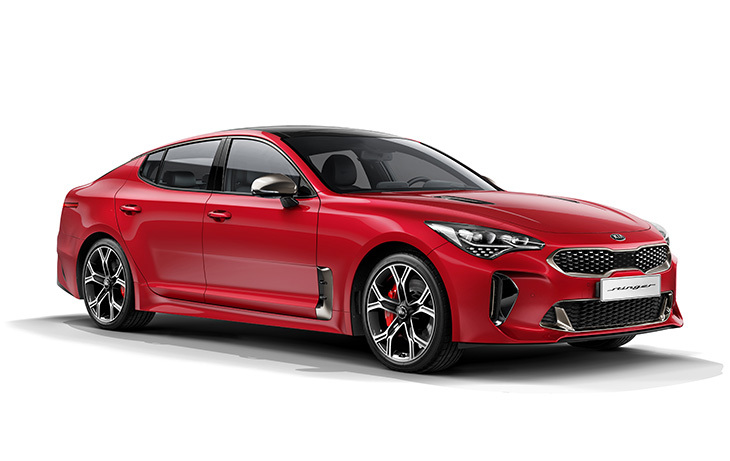 The new KIA Stinger was born from a passion for driving, deeply rooted in the hearts of true motoring enthusiasts. From the low-slung bonnet to the muscular rear, every striking line references the classic spirit of Gran Turismo and what’s to come: breathtaking performance. fast, well equipped and distinctively styled, with the ability to entertain. Pure, yet exclusive. 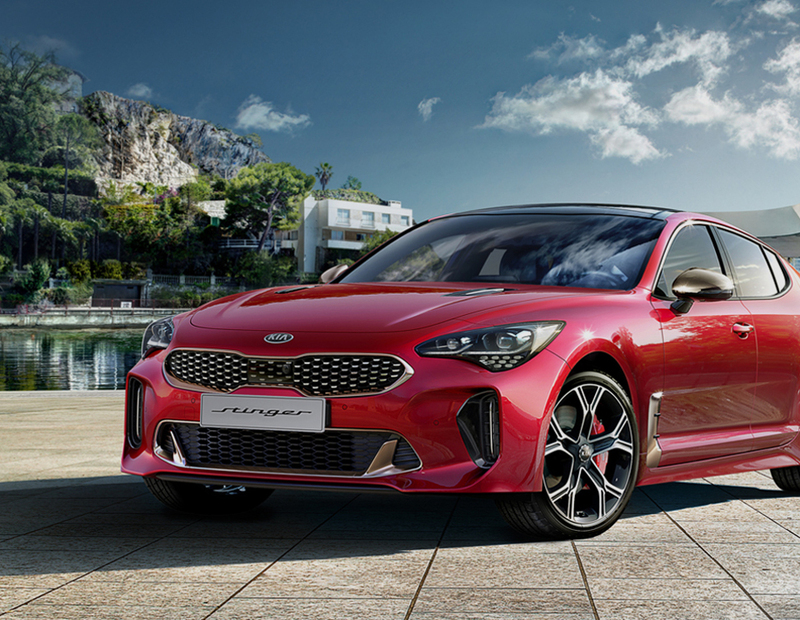 The Stinger takes its inspiration from sporty GT styling paired with the latest in driver-assistance technology. The striking interior features circular aircraft-style vents, metal-ringed gauges and satin chrome trim, as well as the latest in comfort and luxury. 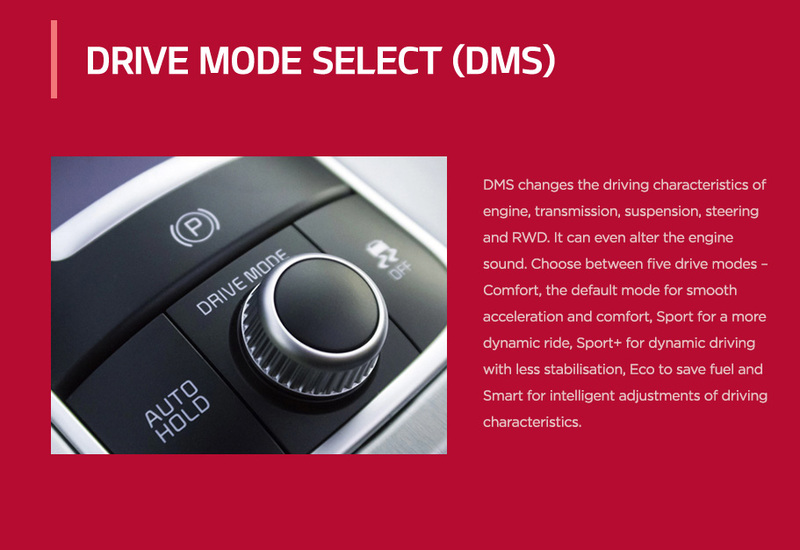 From the low-slung driver’s seat fitted with soft nappa leather as standard on GT, you’ll enjoy access to essential information – courtesy of the supervision cluster in the instrument panel or the optional Head-Up Display. 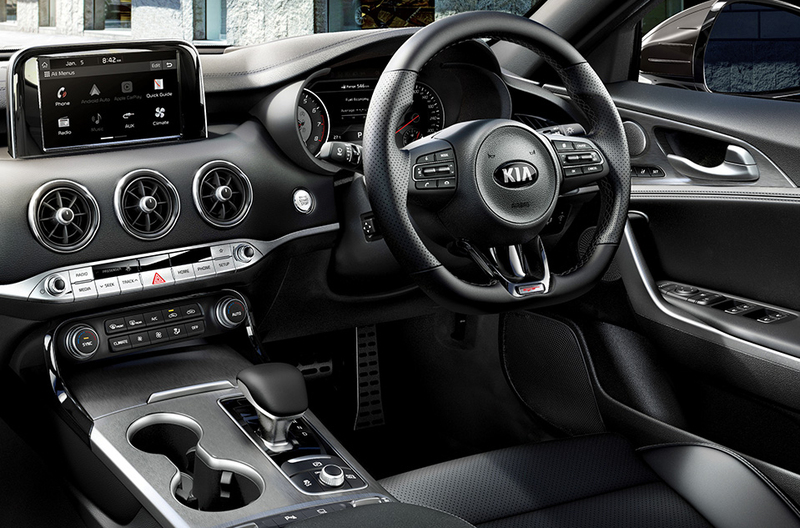 The 8" navigation screen in the centre console covers all your multimedia needs. Cabin or concert hall? 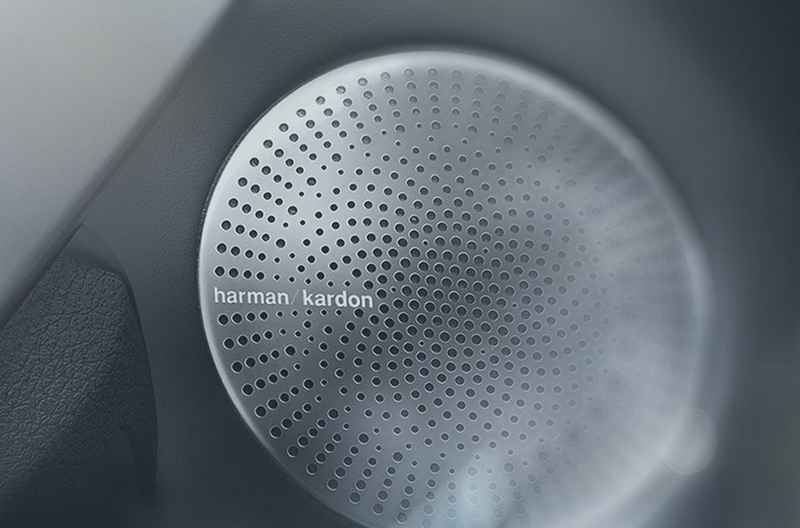 It can be both thanks to the Harman/Kardon Premium Sound System with Clari-Fi, advanced sound technology that fills the cabin with rich, balanced audio through 15 speakers – for sound as it was meant to be heard. The days when sport cars were sparse racing machines are long gone, and especially so in the Stinger. 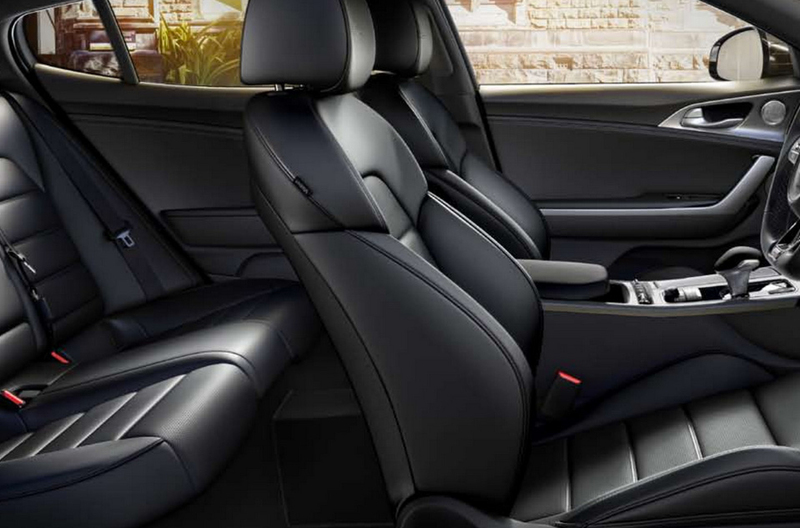 Thanks to its long wheelbase, the Stinger’s spacious cabin ensures that all passengers can enjoy the comfortable space. 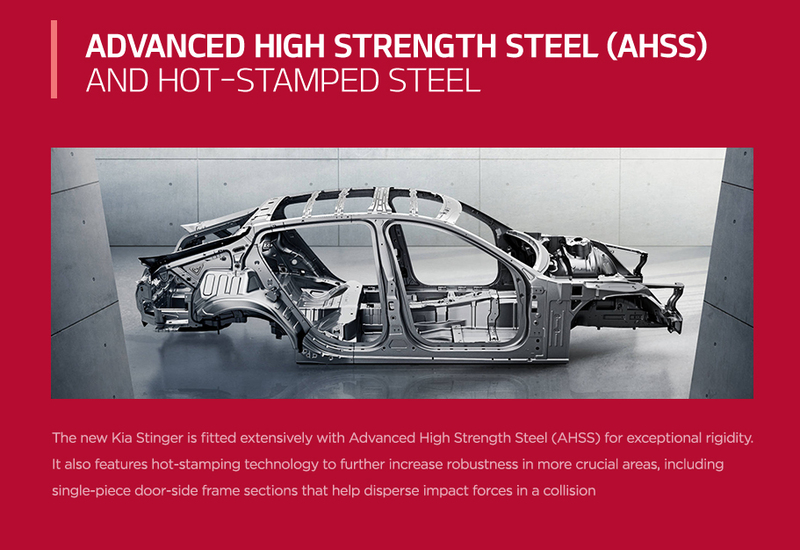 With supple Nappa leather upholstery and electrically adjustable seating for the driver and front passenger, Stinger proves that life is not about the destination, but the journey. To be a true GT, a GT must be able to reach top speeds anywhere and in any circumstance. 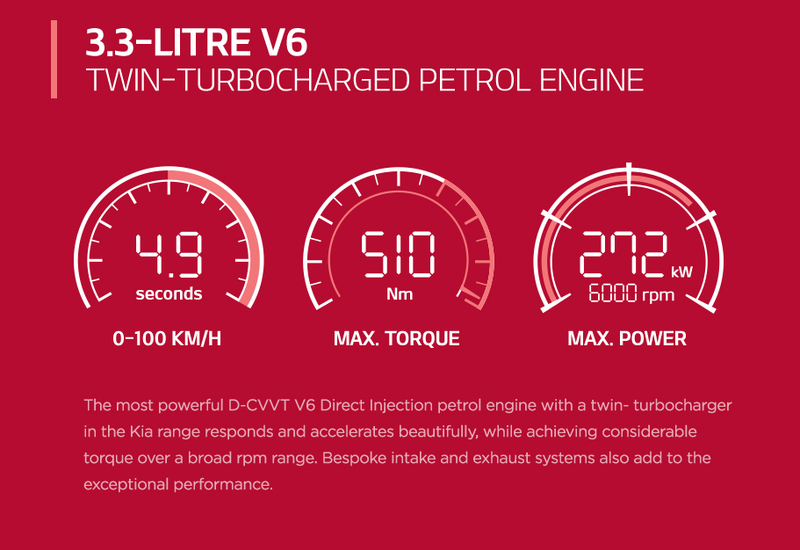 And to achieve unlimited speed, a car needs to be equipped with superior capacity in terms of power, drivability, safety, and durability. 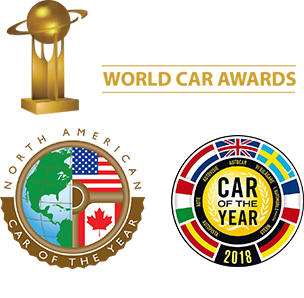 By providing us with your mobile number or email address, you consent to receiving communications relating to KIA Motors South Africa's products, services and special offers.